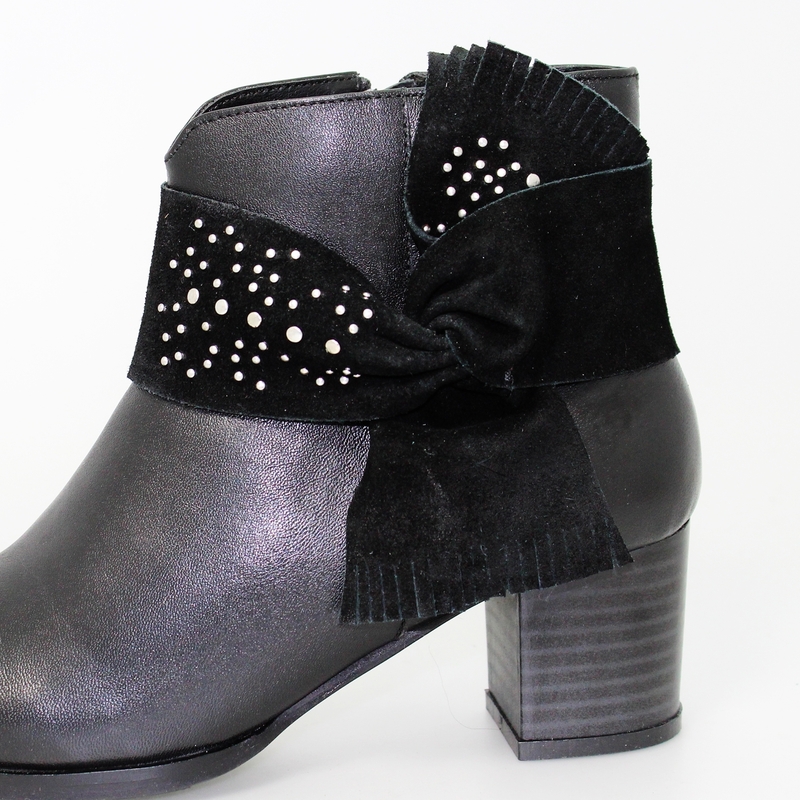 The Maine boot is a simple boot with unique detail to the upper, the suede knot bow wrapped around the upper has tasselled edges with a detailed gemstone pattern which adds a bit of glitz to the already sultry boot. The block heel is solid and fits to the foot bed perfectly not to high and not to low the perfect in between for us ladies. Ideal for winter dresses with tights and long coats or suit pants and a blazer and smart blouse for the office this can be dressed up or down.